The best and worst superminis 2016 | What Car? Which of the current crop of superminis should be topping your shopping list, and which ones should you ignore? We'll guide you through the best and worst here. Currently, only two supermins have earned our top five-star rating the Ford Fiesta and the Volkswagen Polo. 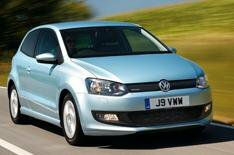 Of the two, we made the Polo our supermini of the year in our 2010 Car of the Year Awards. It's only just ahead of the Fiesta, though. While the Polo feels like a grown-up car think mini Golf the Ford is more fun to drive. It looks a little funkier, too, but it will cost slightly more to run. You can see from our comparison tool that the list prices for both cars is virtually identical, but that you'll get a smaller discount on the VW than the Ford. Despite that, and slightly worse fuel consumption and higher insurance bills, the VW is cheaper on a pence-per-mile basis because it has far superior resale values. Click on the equipment, running costs and performance tabs in the comparison and you can see how the sums add up, what you get for your money, and how the two cars compare in the performance stakes. If you go to our supermini review homepage you'll see that our top five supermini choices are also include the Fiat 500, Hyundai i20 and Renault Clio. They were our shortlisted cars in different price points for our 2010 Car of the Year Awards, and represent an excellent spread of options. The Fiat has become a little more expensive since then (it now has an engine stop-start system), but it still represents cracking value for money and is extremely cool. While Hyundai's i20 isn't quite as fashionable, it's a lot more practical, well equipped and comes with a five-year warranty. Renault's Clio costs more to run, but it's also faster and better to drive than the other two. It's also comfortable and quiet you'd be happy cruising from London to Paris. The question of which is best for you comes down to your personal preferences and needs, however, but when you start to narrow down your options you can drill down for more detail here. You can rank any car sector you like from best to worst star rating in our reviews section. With superminis you'll find that the Proton Satria Neo, Perodua Kenari and Proton Savvy are the only three cars with a one-star rating. The Satria isnt as cheap as you might think, and resale values are poor, while neither side/curtain airbags or stability control can be specified even as an option. Same goes for the Savvy, which is also extremely unrefined, while the Kenari also comes up short in too many areas for a second star. The Smart Fortwo Cabriolet is next it might look cute and be reasonable around town, but it's too expensive and compromised. Ford's Fusion follows that because you can get a Fiesta for the same money and, as we've already found out, that's the second-best supermini that money can buy.